My annual Thanksgiving pilgrimage to New York included a traditional feast with family and friends and a lot of walking around to absorb the sights and sounds of the city. And while my trusty smartphone is not exactly state of the art, it continued to take decent pictures, a few of which I’m happy to share here. 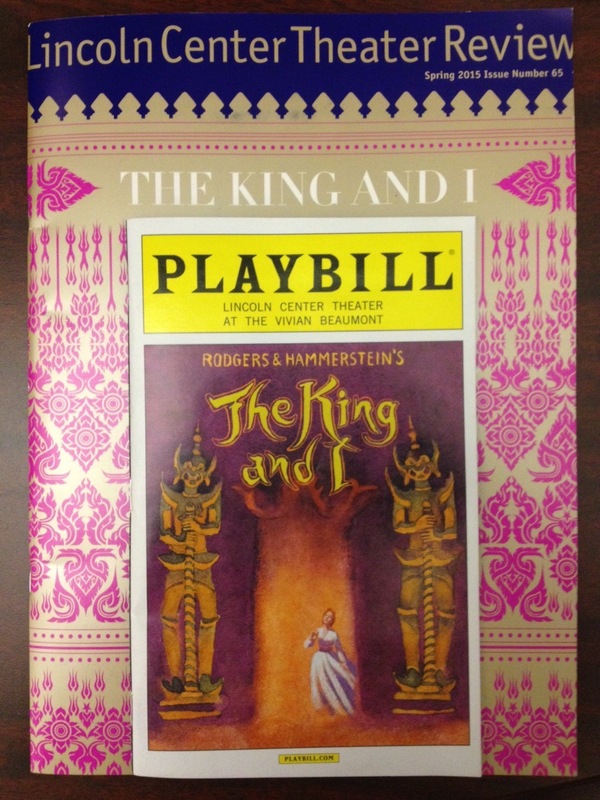 Besides our Thanksgiving dinner, my favorite part of this visit was going with my cousin Judy, a true connoisseur of the New York theatre, to a performance of “The King and I” at Lincoln Center. Starring Kelli O’Hara (Anna) and Hoon Lee (King of Siam), this revival of a Rodgers and Hammerstein classic was simply breathtaking in every way. As the lead of this superb cast, O’Hara was other-worldly good, with flawlessly beautiful vocals and acting chops that brought a deep emotional intelligence to this show. Returning to old haunts is usually part of any New York visit for me, and the Cozy Soup ‘n’ Burger at Broadway & Astor Place in Greenwich Village is a standard bearer. 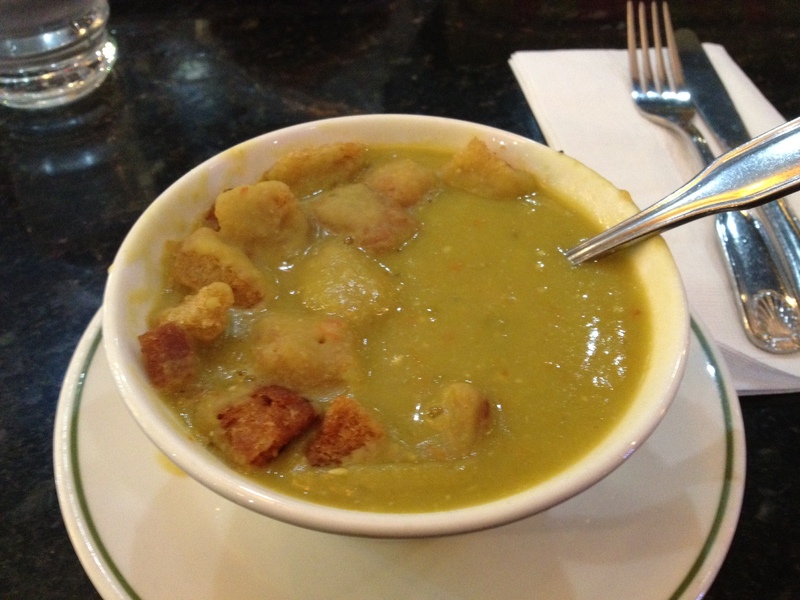 I’ve been going to this diner since my law school days at NYU, and almost every order includes a bowl of their awesome split pea soup. You may be wondering, where are the people in these photos? As I explained in a post last year, although this particular Thanksgiving gathering has been a part of our lives for well over a decade, for some reason no one has ever started taking pictures! Phone cameras abound within our group, and at least some of us are of Japanese heritage! The statistical odds against this shutter shutdown must be off the charts. My hotel was in lower Manhattan, so I did quite a bit of walking around there. 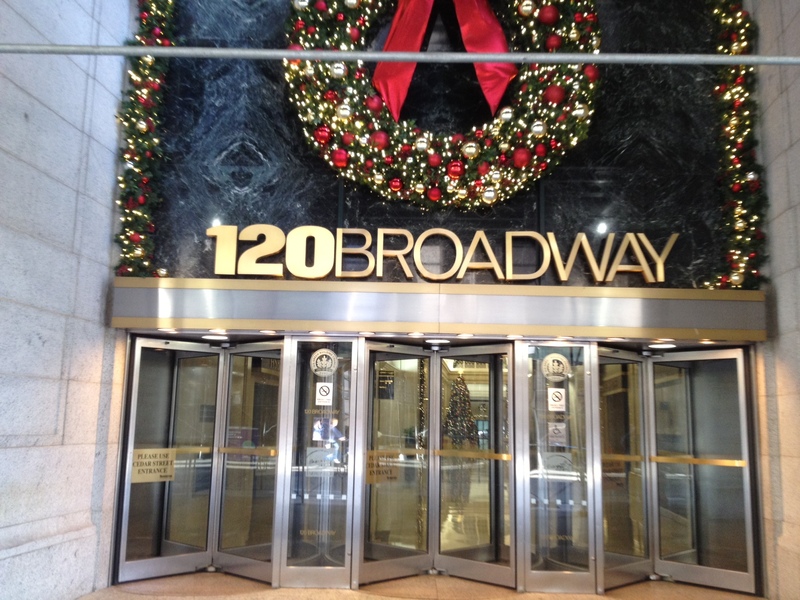 Above is 120 Broadway, home to the New York Attorney General’s Office, where I spent three years as an Assistant Attorney General in the Labor Bureau before I started teaching. Robert Abrams was the AG then, and he set a high standard for the office. Many of my former colleagues have gone on to distinguished leadership positions in public service, the non-profit sector, and private practice. 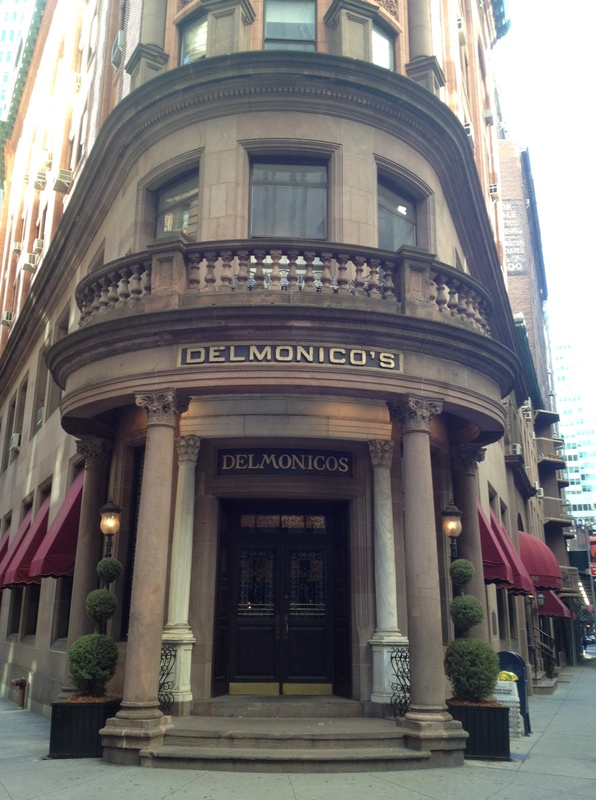 Above is a place that exists for me in a kind of historical, imagined New York: Delmonico’s steak house in the Wall Street business district, a legendary dining establishment going back to the early 1800s. I’ve read about Delmonico’s in non-fiction books and novels about New York, and I’ve heard that they make an exceptional steak. But I’ve never eaten there! Someday it will happen. Medium-well for me, please, with a side order of hash browns. When I lived in New York, a hefty share of my modest paychecks went to the Strand Bookstore. In recent years, the mighty Strand has undergone some interior remodeling to give the place a slightly more upscale feel, but it retains much of the dusty used bookstore feel that made it such a fun book hunting ground years ago. There I made my one Black Friday purchase for myself, a Folio Society edition of T.E. 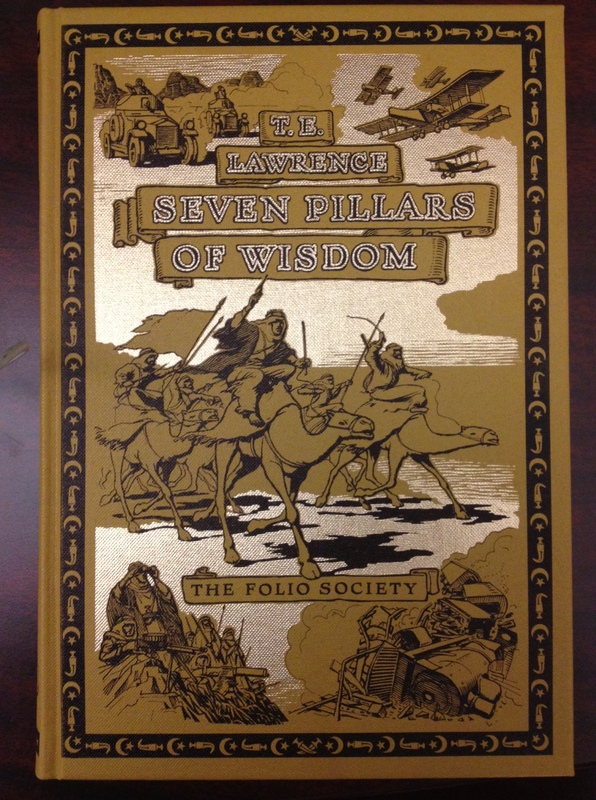 Lawrence’s (Lawrence of Arabia) Seven Pillars of Wisdom. With its slipcase and in excellent condition, I got it at a fraction of its original price. 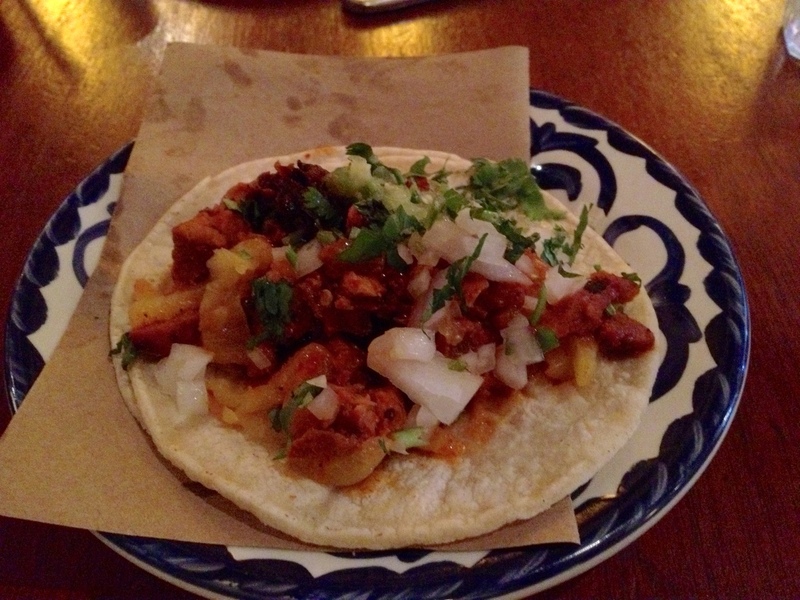 My gustatory intake also included a couple of truly excellent tacos at La Palapa, a superb (and affordable!) Mexican restaurant on St. Mark’s Place in Manhattan’s East Village. Cousin Judy happens to be a manager at La Palapa, but I’d be raving about it even if I didn’t have family working there. 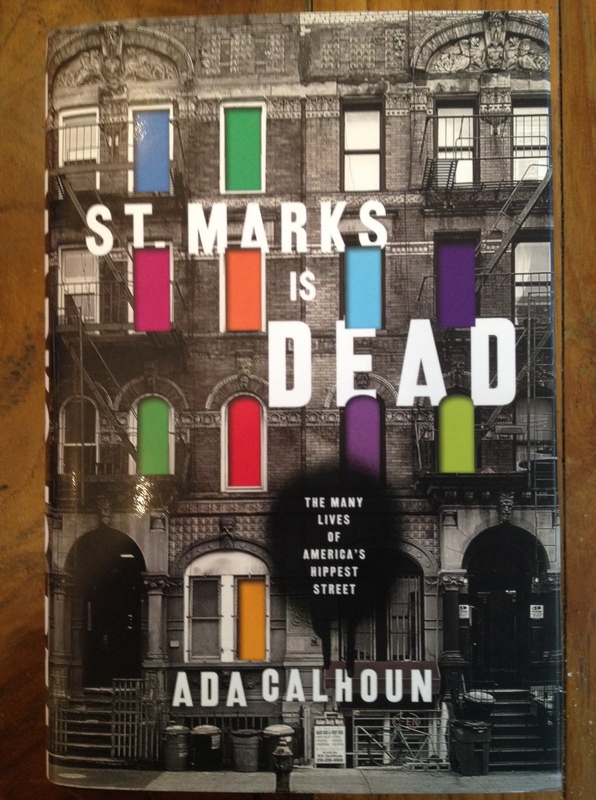 My cousin Al gave me this new history of St. Mark’s Place. St. Mark’s is a culturally famous street, with a history rich in noted writers, musicians, artists and other historically significant folks. Today it has not escaped the sky high cost of Manhattan living, but it’s still a great site of urban Americana. And paging through the book, I imagine incarnations of a New York that I’ve never personally experienced. Such is the pull of this little island. Oh, this makes me want to get in the car and go to NYC right now! 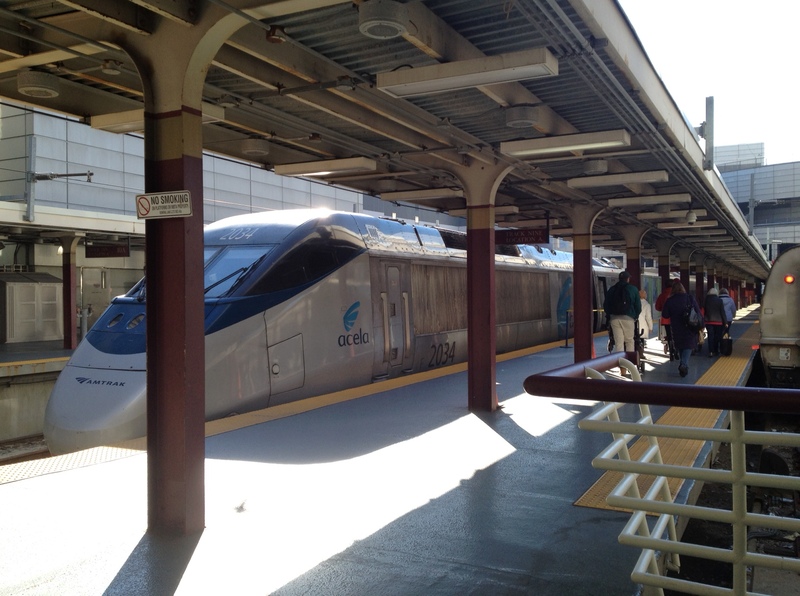 And you’re so right about the ways the *idea* of New York intersects with experience–is there a more storied town? And have you read Island at the Center of the World, by Russell Shorto? Kerry, I haven’t read that book! I’ll have to check into it — thanks for mentioning it!